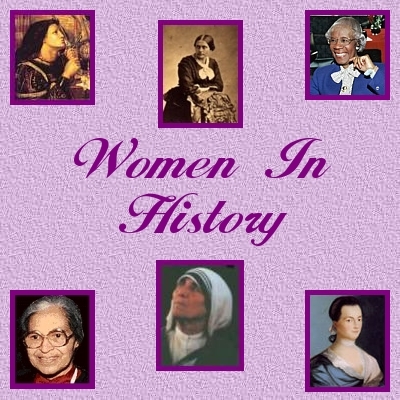 During Women's History Month, we celebrate the achievements of our Nation's women. For generations, American women have helped build our great Nation through their leadership as writers, teachers, artists, politicians, doctors, and scientists, and in other professions. As mothers, daughters, and sisters, women have supported and strengthened American families and communities. Women are at the forefront of entrepreneurship in America, creating millions of new jobs and helping to build our Nation's economic prosperity. We celebrate those who have broken down barriers for women, such as Jacqueline Cochran, who was the founder and director of the Women's Air Force Service Pilots during World War II and the first woman to break the sound barrier. Gerty Theresa Radnitz Cori was the first American woman to receive a Nobel Prize in the sciences, and her research significantly advanced the treatment of diabetes. In 1926, Olympic Gold Medalist Gertrude Ederle became the first woman to swim the English Channel. Marian Anderson, a Presidential Medal of Freedom recipient, opened doors in music as the first African American to perform with the New York Metropolitan Opera. Juliette Gordon Low encouraged community service and the physical, mental, and spiritual development of America's young women as founder of the Girl Scouts of the United States of America. As we work to advance freedom and peace and fight the war on terror, American women in uniform are serving at posts at home and across the world, taking great risks as they make our Nation more secure. As we commemorate Women's History Month, I encourage all Americans to celebrate the extraordinary contributions and accomplishments of American women and to continue our progress in making our society more prosperous, just, and equal. NOW, THEREFORE, I, GEORGE W. BUSH, President of the United States of America, by virtue of the authority vested in me by the Constitution and laws of the United States, do hereby proclaim March 2005 as Women's History Month. I call upon the people of the United States to observe this month with appropriate programs, ceremonies, and activities that honor the history, accomplishments, and contributions of American women. IN WITNESS WHEREOF, I have hereunto set my hand this second day of March, in the year of our Lord two thousand five, and of the Independence of the United States of America the two hundred and twentyninth.